Halloween is one of the most popular holidays in the US, for both kids and adults. While adults can have fun at parties that last through the night, kids mostly enjoy Trick-or-Treat. Though it’s now accepted as a normal holiday tradition, the history of Trick-or-Treat actually dates to ancient times. According to the History Channel, Trick-or-Treat has its origins in Celtic festivals over 2,000 years ago. In particular, the festival of Samhain was celebrated on October 31st, when it was believed the dead returned back to life. In order to ward off the evil spirits and keep them happy, sacrifices and homage (a.k.a. treats) were paid to the deceased. The tradition is also associated with Guy Fawkes Night. On November 5, 1606, Fawkes was executed for attempted treason (the so-called “Gunpowder Plot”). Many later commemorated his death with bonfires and by begging for pennies. Brits in the 17th century would go around asking for a “penny for the Guy,” a tradition much like Trick-or-Treating. Modern celebrations didn’t really start until the 1920s, when Halloween pranks were popular. Many young people would cause damage in neighborhoods with their pranks, so adults would try to bribe them with candy and other rewards. Now, Americans spend more than $6 billion on Halloween, making it the second-largest commercial holiday. At College Chevrolet Buick, we can’t wait for the celebration to start. Happy Labor Day from College Chevrolet Buick! Celebrated every year on the first Monday in September, Labor Day is known nowadays as the end of summer and the three-day weekend made for grill-outs. Some people may know that Labor Day was originally created to honor the contributions of workers, but many don’t know the in-depth history of Labor Day and its origins in the Industrial Revolution. In that era of our nation’s history, many people worked long hours in unregulated, hazardous conditions for very little pay. Labor Day was first proposed during a time when many workers were going on strike for unfair wages and wanted to be recognized for their value and efforts. The idea was first proposed by one of two men, though people disagree on which one it truly was—either Peter J. McGuire of the American Federation of Labor, or Matthew McGuire of the Central Labor Union. Either way, the proposal was made and adopted in 1882, the year the very first Labor Day parade was held in New York City. The holiday had difficulty working its way up to a national level. Originally, the idea of a “workingmens’ holiday” was honored in some state governments, but it wasn’t until 1892 that Congress solidified the history of Labor Day as a turning point in American history and uplifted it to the level of a national holiday. 2015 Chevy Silverado – Available at College Chevy! Finding a pickup truck that mixes top-notch capabilities and sophistication can be difficult—unless you’re looking to order the Chevrolet Silverado Custom Sport Edition. This brand new edition pickup from Chevrolet, which debuted at the 2015 Detroit Auto Show, creates a sophisticated monochromatic look for double- and crew-cab Silverados, showing that it’s easy to have the best of both worlds. Body-colored front and rear bumpers, a body-colored grille surround, and a chrome-accented black grille are all part of the Custom Sport Edition package, along with new 20-inch chrome wheels. 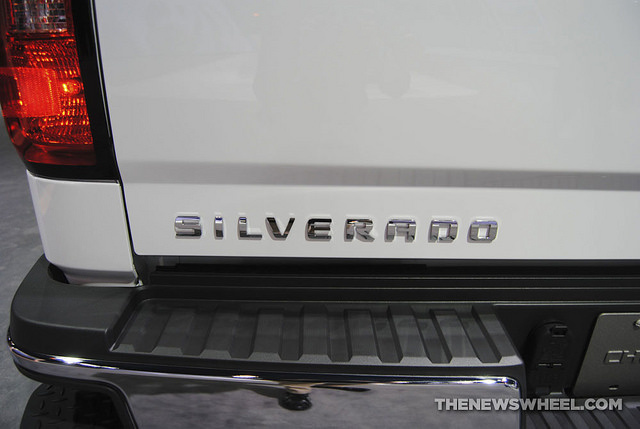 Helping add a touch of sophistication are chrome door handles and mirror caps, and chrome body-side moldings, all for a slight increase of $1,950 to $2,950 to the Silverado’s base price. The Chevrolet Silverado Custom Sport Edition can be added to your Silverado purchase now, so stop in to College Chevrolet Buick today to see how you can add a touch of class to your pickup truck. On a warm summer day, sometimes it’s nice to have your animal companions get out of the house and go for a ride. But remember even mild outside temperatures can become deadly heat inside a locked car within minutes. After just 10 minutes a car can be as hot as 94 degrees on a 75 degree day. And that temperature can hit 109 after 30 minutes. Turning what was supposed to be a quick trip to the grocery store into something far worse. This is also critically important for parents with young children. Children should never be left alone in a vehicle, especially in the summer months as temperatures hit the 90s and above outside. Aside from making sure you don’t leave your children or pets inside a hot vehicle, it’s important to remember to take necessary precautions to ensure safety. Take the time to lock your vehicle. Children often use cars as hiding places for games. An unlocked vehicle could lead to a child getting trapped inside the cabin or trunk. While we don’t wish to scare parents or guardians we do want you to be alert and mindful to protect your loved ones this summer. The summer is a great time for family outings, vacations, sporting events, cookouts, and more. And at College Chevy we hope it stays that way. Events like ski super pipe, snowboard big, snowmobile freestyle, snowboard cross, and ski slopestyle are just a few of the things you can check out at ESPN’s, increasingly popular, Winter X Games. But have you ever wondered “How are these crazy half pipes, huge ramps, and giant slalom courses built?” Well with help from Chris “Gunny” Gunnarson, ESPN Winter X Games course designer, and TV producer Jason Carbone, Chevrolet is set to bring you an exciting new show on National Geographic called, Mountain Movers. Some of the tricks performed by X games athletes are flat out astonishing, but equally as astonishing is how they develop these crazy courses big air ramps and half pipes. Get ready to see the action unfold later this year as Snow Park Technologies, owned by Gunnarson, takes on building new and innovate sports venues for the show. We at College Chevy are anxious to see how Chevrolet trucks fair conditions, with heavy machinery, and difficult terrain. We feel pretty confident Chevy trucks are up to the task. Seeing how those awesome snow parks are built should be pretty entertaining, too! It’s September, and here at College Chevrolet Buick, we all know what that means: it’s football season, and more importantly, it’s Lions season. The Detroit Lions will be facing off against the St. Louis Rams this Sunday, September 9, with kickoff at 1 p.m. The Lions will have the home field advantage at Ford Field. The last time the two teams met was back in 2010 when the Lions destroyed the Rams with a crushing blow of 44-6. The Rams are coming off a 2-14 season while the Lions finished second in the NFC North last season with a 10-6 record. Even so, the Lions are still fully preparing for battle, as the Rams have changed up the roster with over 30 new players and a new coach, Jeff Fisher. Starting the season on the road is always difficult, and with the Rams facing an explosive Lions offense, featuring the receiver known as Megatron, or Calvin Johnson, things become that much more difficult. So who will take first blood this season? College Chevrolet Buick is counting on the Lions to bring victory to Michigan, but the fight to get there will most definitely be tough.